The honey collected in Väte on the island of Gotland off the coast of Sweden in 2011 turned out to be special. 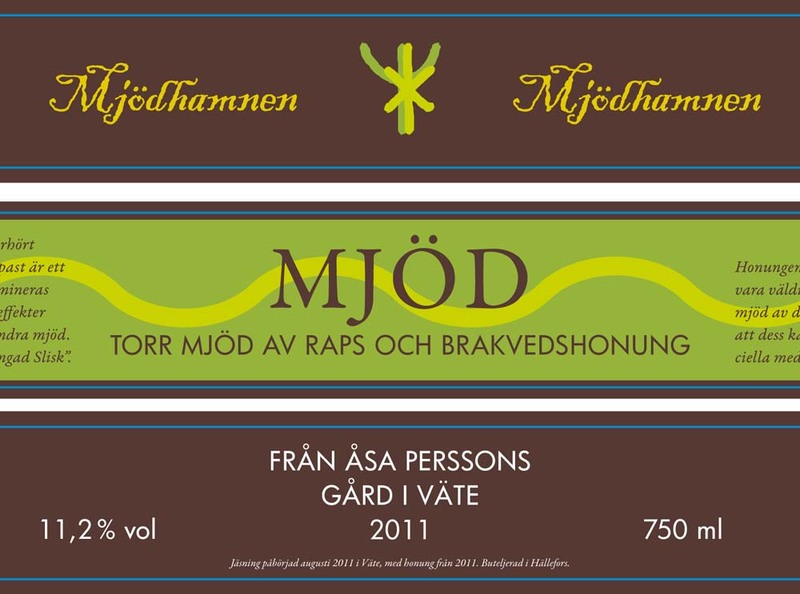 First, it was collected by Åsa Perssons, one of the only professional female beekeepers in Sweden. Next, it contains a considerable amount of alder buckthorn contribution, a plant which bees only frequent during certain years, and which contributes a very buttery character to the honey. Fall rapeseed honey was also used, which contributes a considerable flavor,but the mead showcases the special flavors that the alder buckthorn provide. We’re lucky that the meadmakers made a relatively dry mead while the honey was still very fresh, because it means that its character can be experienced as vividly as possible. Fermentation started August 2011 in Väte, with honey from 2011.